The capital city of Gangwon Province of South Korea, Chucheon sits in a basin formed by the Soyang and the Han Rivers. The region is littered with large lakes and small river islands such as Sangjungdo, Ha-Jungdo, Bungeodo and Wido. It's a popular tourist destination for East Asian holidaymakers who meander around its landmarks such as the Buddhist Cheongpyeongsa Temple, which features a stone garden, an ancient 3-story stone pagoda and the secluded Guseong Waterfall. The nearby man-made Soyangho Lake is dressed in cherry blossoms and will give you awesome views of the vast dam. First settled about 1000 years ago, Chuncheon oozes history and culture. A somewhat large city with a population of 281,725 people indulging in makguksu noodles, sipping the national drink of "soju" or hanging out in a coworking venue getting creative. The South Korean government is encouraging its tech savvy youth in the form of grants and other initiatives. In fact no other country in the world has more backing per capita from the government than Korea. This is a country with the 4th highest mobile penetration globally and the highest credit card penetration (think 5 credit cards per person on average) making endless opportunities for rapid adoption in mobile commerce (currently mobile commerce makes up 28% of total online sales). 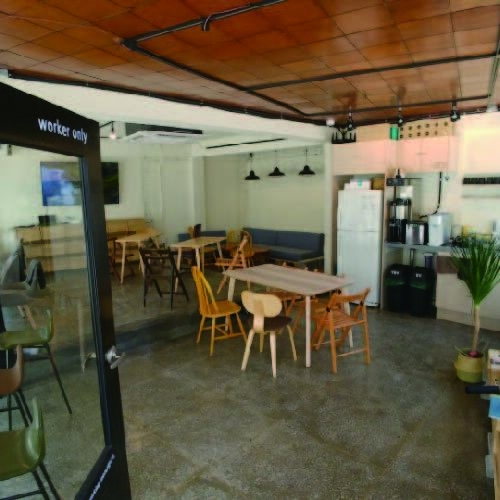 The tech savvy youth of South Korea, many of who have studied abroad, are busily hanging out in coworking venues creating startups with global ambitions.